IoT for animals is probably the next natural step after Human to Machine communication. IoT for animals is basically same as Human to Computer Communication, except for the fact that the source of data collection will be animals instead of humans. Inserting a tracking device on a wild animal or aquatic animals to learning more about them is in practice for a long time now. But that concept is considered as ‘only research people’s’ concept, but with the boom of internet, IoT for animals has found a place in everyday life. 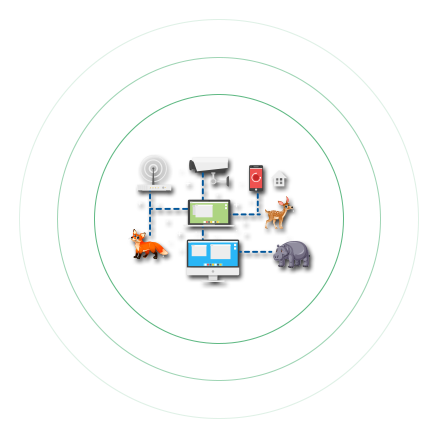 Internet of things for animals refer to the many such devices like biochips transponders on farm animals, heart monitoring implants, cameras streaming live feeds of wild animals in coastal waters, DNA analysis devices for environmental or pathogen monitoring. The speedy expansion for IOT for animals has helped in generating large amount of useful data needed to collect and analyzing from the behavior of these animals. Collecting descriptive analysis like weight pick-up, size etc. Gathering and recording different traits of every animal such as age, growth rate etc.